Goths! On the Bus! 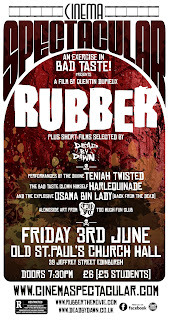 will screen at Cinema Spectacular in Edinburgh, Scotland at An Exercise in Bad Taste, a two-day event devoted to the devilishly delightful world of Bad Taste Cinema. 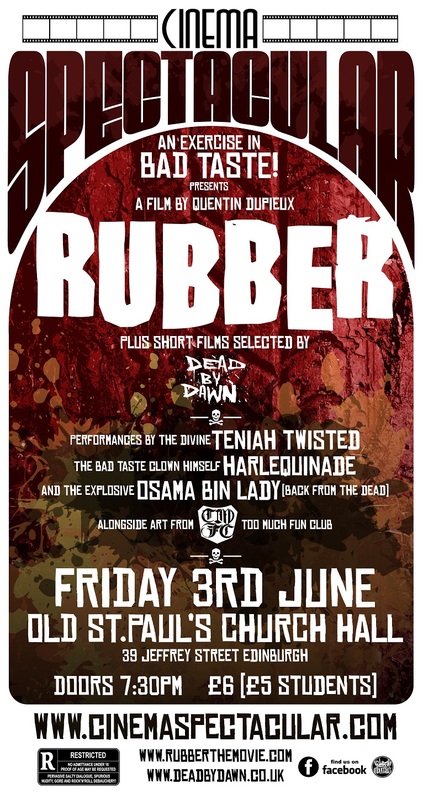 It will screen as part of a special program of short films curated by Edinburgh's Horror Festival, Dead by Dawn, alongside the feature film, Rubber, by Quentin Dupieux and a series of live performances.